Lily Huang crushes up the human hair prior to testing. Crime fighters could have a new tool at their disposal following promising research by Queen's professor Diane Beauchemin. Dr. Beauchemin (Chemistry) and student Lily Huang (MSc'15) have developed a cutting-edge technique to identify human hair. Their test is quicker than DNA analysis techniques currently used by law enforcement. Early sample testing at Queen's produced a 100 per cent success rate. "My first paper and foray into forensic chemistry was developing a method of identifying paint that could help solve hit and run cases," explains Dr. Beauchemin. "Last year, Lily wanted to research hair analysis, so I started working in that area." Blood samples are often used to identify gender and ethnicity, but blood can deteriorate quickly and can easily be contaminated. Hair, on the other hand, is very stable. Elements in hair originate from sweat secretions that alter with diet, ethnicity, gender, the environment and working conditions. Dr. Beauchemin's process takes 85 seconds to complete and involves grinding up the hair, burning it and then analyzing the vapour that is produced. "Our analysis process is very robust and can be used universally," says Ms. Huang. "One of our samples even included dyed hair and the test was 100 per cent accurate. The test was able to distinguish East Asians, Caucasians and South Asians." Dr. Beauchemin says she has contacted law enforcement agencies about using the new technology. 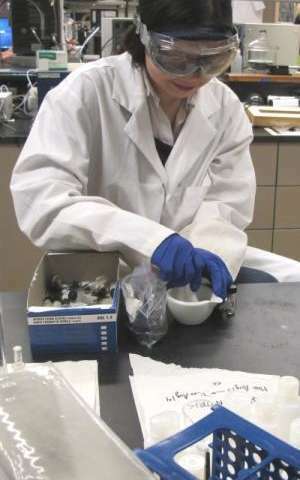 She is also planning to collect more hair samples and continue her research with a goal of pinpointing where exactly in the world the hair sample is from, to look for more ethnicities and determine specific age. The research was published in the latest edition of Chemistry World. What did our ancestors look like?